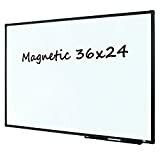 SCRATCH RESISTANT DRY ERASE MAGNETIC BOARD: Scratch resistant writing surface is made of high quality material for easy drywipe while compatible with all dry erase markers. 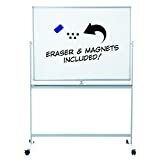 ROTATABLE and HEIGHT ADJUSTABLE: The dry erase board is 180° rotatable and lockable with easy hand screws. 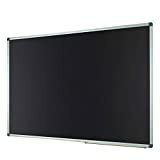 The overall whiteboard height is adjustable from 62 to 70 inches, depending on the lock position, to suit most adults. 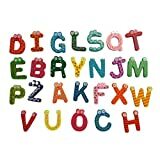 EASY ASSEMBLY and HIGH MOBILITY: Easy assembly with clear instructions. Four rolling wheels, two of them are lockable, keeping the board in good balance during your presentation. HEAVY-DUTY STURDY STAND: Made of rust-protective coating iron and rolls easily with four wheels. PACKAGE INCLUDE: 1 whiteboard, 1 stand, 1 magnetic eraser, 2 markers and 4 magnetic nails. All the parts are packaged in a reinforced box with cardboards and additional foam paddings to secure the board. No worry about board broken or bent during transportation. 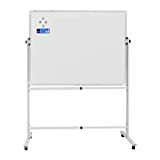 Mobile Dry Erase Board and Rolling Whiteboard, 48*36″, suitable for office presentation, school teaching whiteboard or home education/drawing whiteboard. 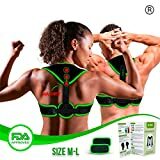 One year warranty is provided for this product. Please Note: The whiteboard surface comes with a layer of protective film. Please tear off the first layer of the film in order to ensure that it can be easily wiped clean when using. Keep life organized with this wooden magnetic perpetual calendar. Open the fabric hinged boards to reveal a calendar grid on one board, while the other board keeps all the magnets close at hand. 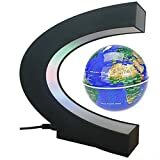 A sturdy cord is attached for hanging. 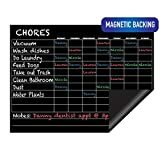 These dry-erase boards include 134 magnets including years, months, days, and most holidays and childhood activities. Durable and Perfect Construction, Light Weight, Firm Aluminum Frame, Wall-mounting Designed Nylon Corners With No Shape . Once Have Never Forget. Packing And Shipping: Reinforcing Design For Packing Box Makes Sure the Whiteboard Is Flawless On Arrival. REMINDER: The Dry Erase Board Is Covered By Protective Plastic Film. Please Tear Off The Film Which Cut And Marked At The Corner Before Use. LIFETIME REPLACEMENT SERVICE: Please Feel Free To Ask For Replacement In Fast Shipping If You Have Any Issues With Your Lockways Dry Erase Board.